In December, Assistance League of Minneapolis/St. Paul awarded the Anne Banning Leadership Award to Annette Anderson. Named for the founder of Assistance League, the award demonstrates the importance and value of leadership to Assistance League chapters, and communicates the accomplishments and dedication of the recipient. Annette has served on sixteen chapter committees and chaired four of them. While leading the Operation School Bell® Clothes for Kids program, she initiated stocking clothes closets at partner schools and was also instrumental in finding and negotiating a lease for our current warehouse space. Annette has served as VP Member Development, VP Philanthropic, President-Elect and President of Assistance League of Minneapolis/St. Paul. She is now in her third year as a National Assistance League Board member, in the role of Vice President of Bylaws. Her thoughtful approach to chapter questions and willingness to listen has helped her guide many chapters toward best practices through conversations, email, during chapter visits, and in training sessions for board members. 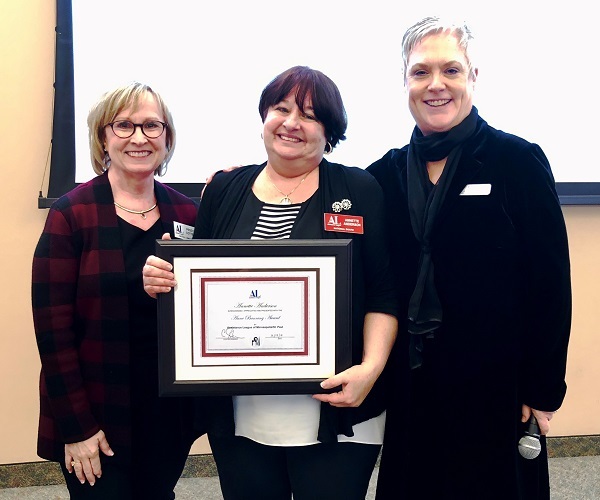 We are proud to have awarded Annette Anderson, in her 10th year as an Assistance League member, our chapter’s very first Anne Banning Leadership Award.